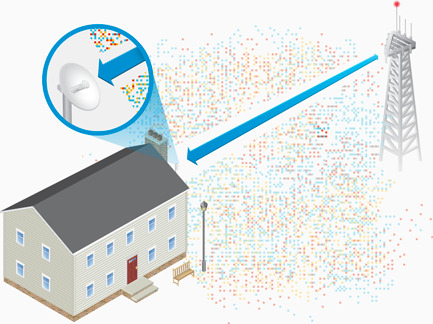 Ubiquiti Networks PBE-M2-400 PowerBeam M2 has a tight beamwidth, improving noise immunity, ideal for crowded areas. Operates on 2.4GHz frequency, with 18dBi. The new PowerBeam M has a compact, all-in-one design with uniform beam width, efficient footprint and a faster processor. The PowerBeam can be easily mounted in a variety of ways thanks to the innovative mechanical design. 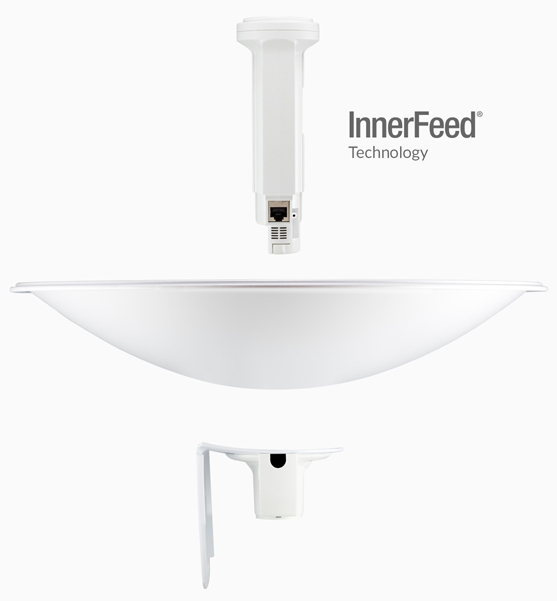 Ubiquiti’s InnerFeed technology integrates the radio into the feedhorn of an antenna, so there is no need for cables to connect the radio to the antenna. This improves performance because it eliminates cable losses. The form factor of the PowerBeam features the highest gain for its size. The PowerBeam’s excellent beam directivity provides the best performance in high-noise environments. Ubiquiti’s airMAX technology is proven in millions of deployments worldwide, exhibiting outstanding performance in outdoor environments. 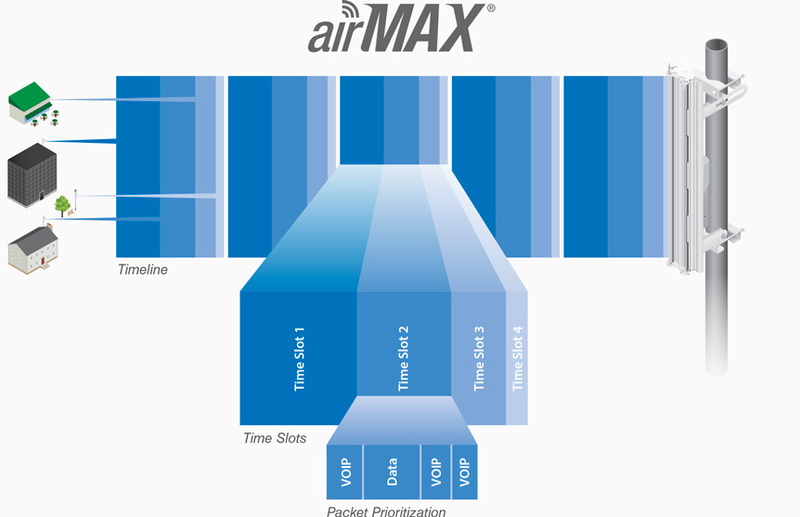 The TDMA airMAX protocol enables unprecedented scalability, high throughput and low latency in unlicensed, multipoint networks. Long Distance Capable of high-speed, carrier-class links. Built-in mechanical tilt The mounting bracket conveniently offers 20° of uptilt and up to 20° of downtilt. Quick assembly The number of fasteners was reduced to simplify assembly. Tools are required only when the technician mounts the NanoBeam on the pole. Easy removal The antenna feed can be detached with the push of a button.